Rolex presented a world first with its new version of the Oyster Perpetual GMT-Master II at Baselworld 2014. The watch made its debut alongside other models of the emblematic Oyster collection. The range demonstrates the Swiss capacity for innovation and mastery of the art of classic watchmaking. The GMT-Master II is equipped with a two-colour Cerachrom bezel insert in classic red and blue, demonstrating the best in technology with the iconic appearance of the 1955 model. The Oyster Perpetual GMT-Master II exhibits ground-breaking invention in ceramics, with the bezel insert manufactured in a single piece. In keeping with its mastery of the production, Rolex developed in-house processes and high-technology equipment to acquire complete independence in the production of its ceramic components. The workshops are housed at the impressive Rolex Plan-les-Ouates production site on the outskirts of Geneva. The coloured insert reflects the traditional two-colour bezel of its predecessors. It blends the traditional aesthetics of the original with the performance and functionality of the Rolex Cerachrom bezel, scratchproof and highly corrosion resistant. The 24 hour graduation is engraved in the ceramic and coated with platinum via PVD. The Oyster Perpetual GMT-Master II is renowned as a Traveller’s Watch, created to enable airline pilots to read the time in two separate time zones. 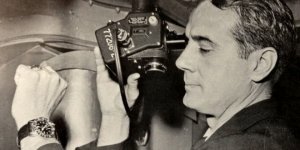 As intercontinental travel was introduced in the 1950s, pilots were obliged to keep an eye on various time zones. The GMT Master II was designed to meets their needs, at the height of the jet age of air travel. In addition to hour, minute and seconds hands, it features an arrow-tipped hand which circles the dial once every 24 hours and a bidirectional rotatable 24-hour graduated bezel. The 24-hour hand displays the reference time in a first time zone such as home, which can be read on the graduations on the bezel. If desired, a third time zone can also be displayed. The iconic watch features a black lacquer dial encased in a 40mm Oyster case crafted from 18K white gold and guaranteed waterproof to a depth of 100 meters. 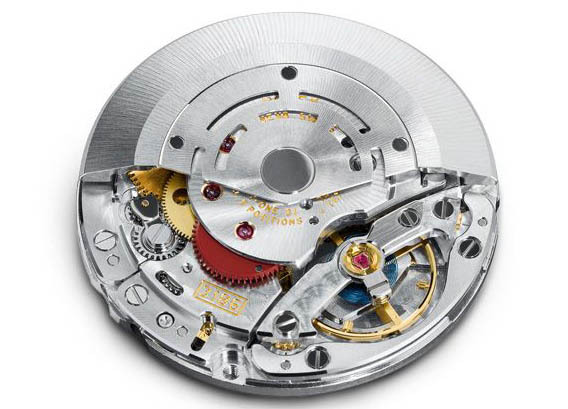 Inside, the Swiss COSC certified calibre 3186 movement is of high chronographic standards, with its patented blue hairspring with Breuget overcoil. The new GMT-Master II is fitted with a solid-link Oyster bracelet 18K gold. The watch features an Oysterlock folding safety clasp which prevents accidental opening and a 5 mm extension link for added comfort. Leading brand of the Swiss watch industry, Rolex are admired for their expertise and quality of the highest standards. The new-generation GMT-Master II with two-colour Cerachrom bezel in ceramic is a reflection of Rolex mastery and technology that remains faithful to the design of the iconic watch that graced the wrists of Concorde pilots in 1955. A technological and aesthetic feat, the GMT-Master II stays true to the original model while demonstrating ground breaking functionalities achieved by pioneers of the highest expertise in watch making. The Oyster Perpetual GMT-Master II is available to order at Weir & Sons. For more information email watches@weirandsons.ie or call 01-6779678 to arrange an appointment in the Watch Department in one of our stores.